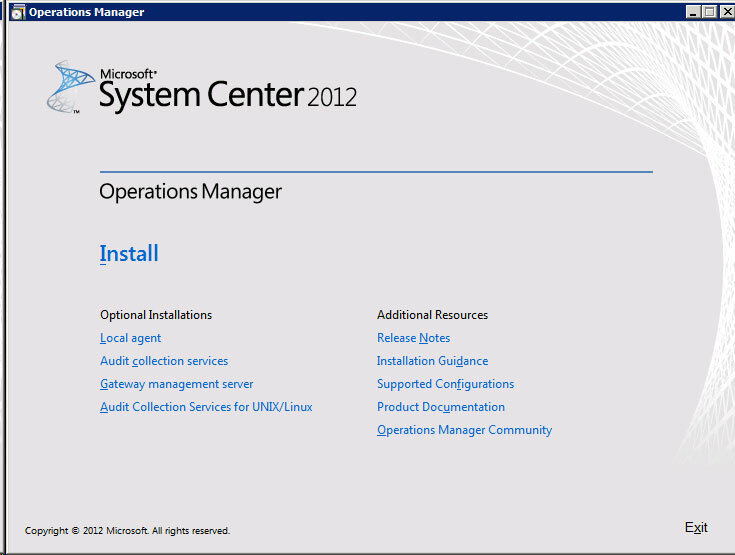 I have had a huge amount of fun installing Microsoft System Center Operations Manager 2012 (he says sarcastically!). 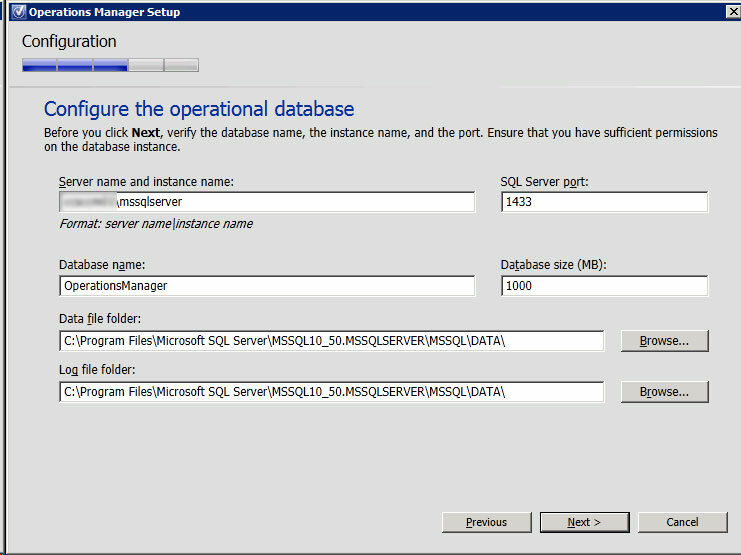 I will just say one thing – SQL Server Collation! 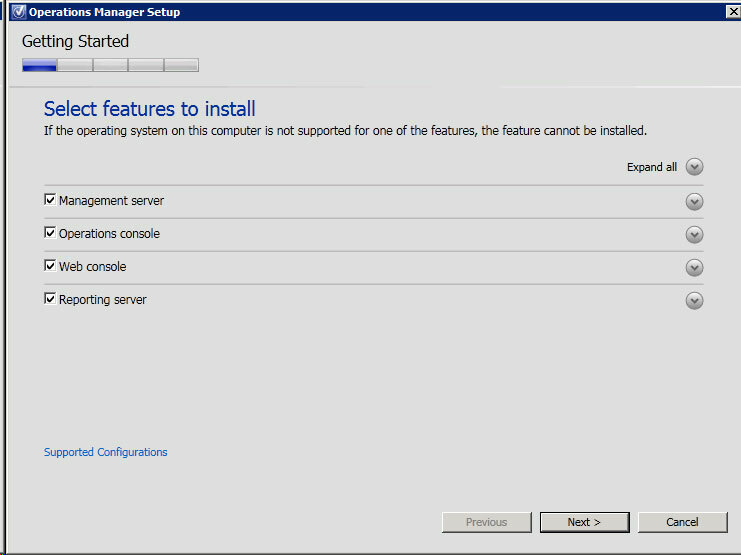 I actually carried out the complete install only to find Reporting failed to install. This also has a walkthru install (but without the pretty picture). 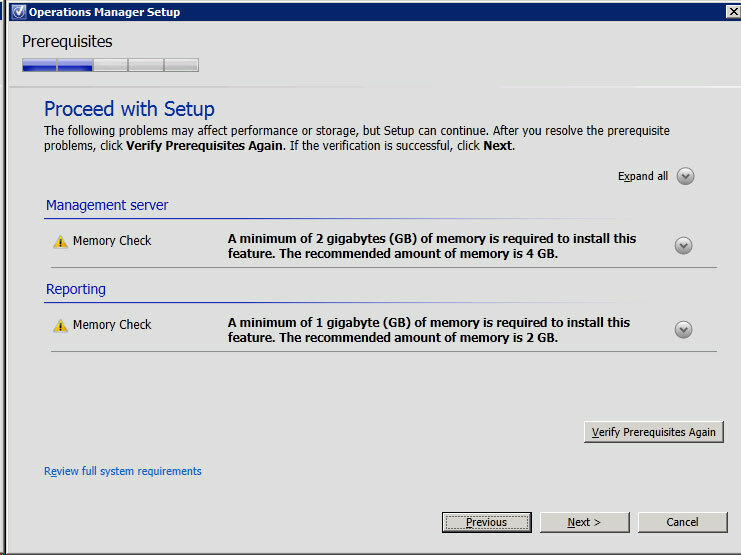 Any other pre-requisites which fail upon install are pretty self-explanatory and can be easily fixed and then re-check the pre-requisites. 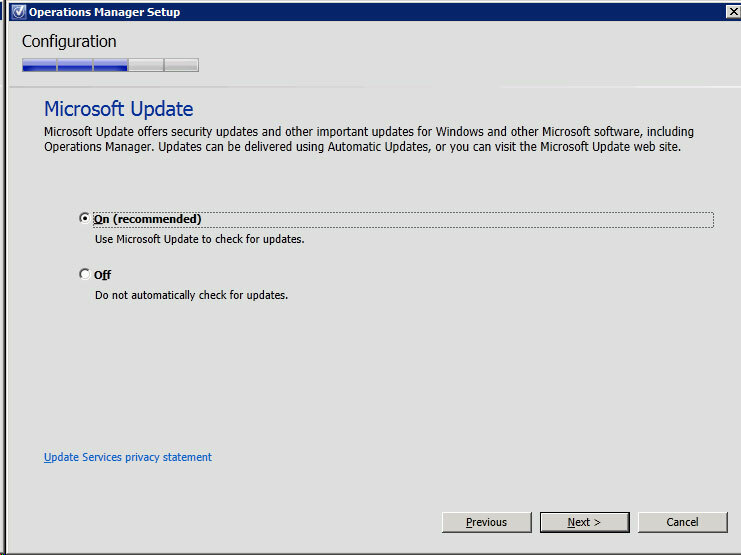 And so on to the install……. This is a basic splash screen we are all familiar with, just a set of links to relevant documents and pages, th Install option is the one we want. This next screen lets you select the install path (I would recommend sticking with the default as other elements and applications will be looking for it here). 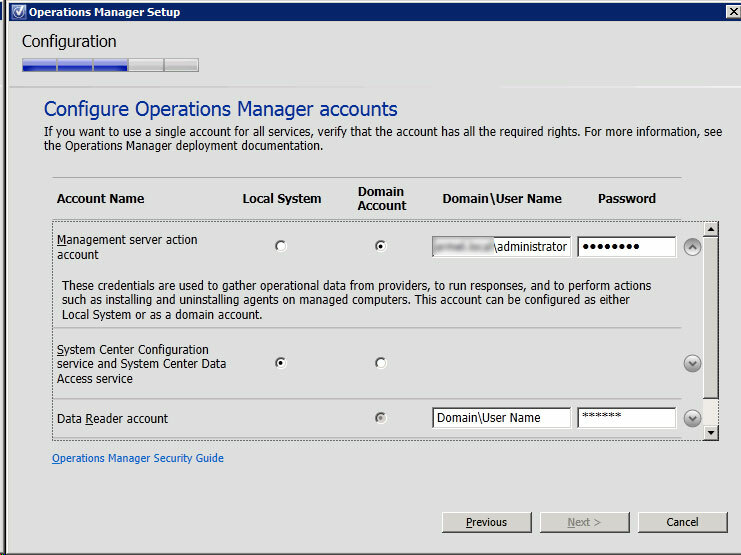 This next screen lets you give your SCOM management group a name, make sure it is something unique, probably best to stick with your own naming convention. 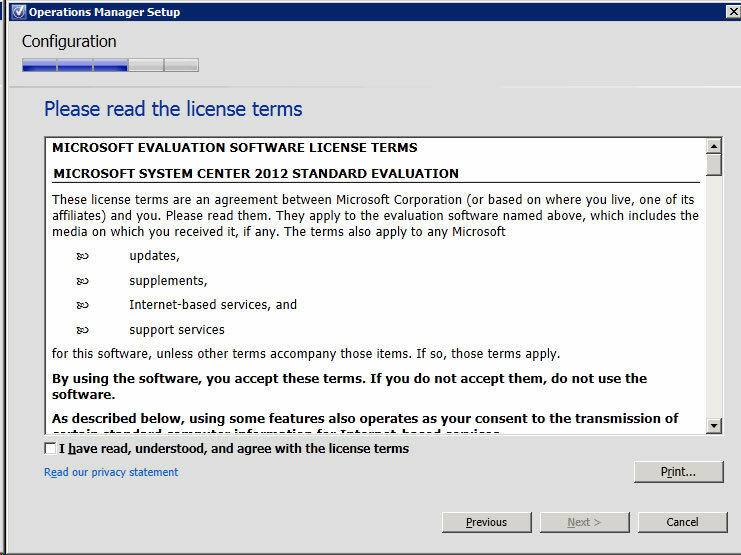 This screen is the license term, read the terms, click to accept and click next. 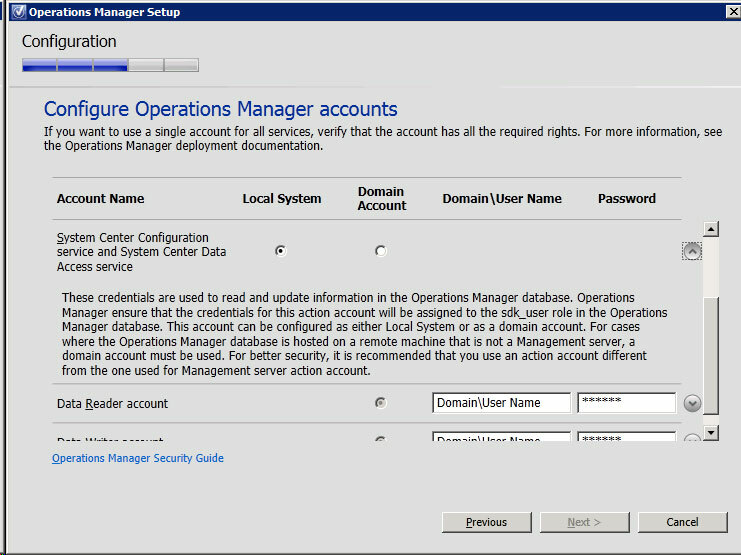 As I mentioned briefly earlier, this screen configures your operational database, point it at the correct server (with the correct collation on) and check the other settings. 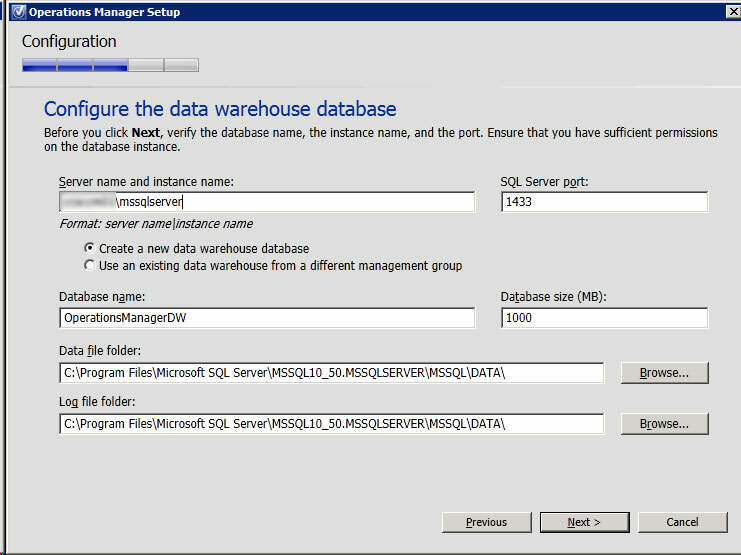 This next screen configures the data warehouse database. 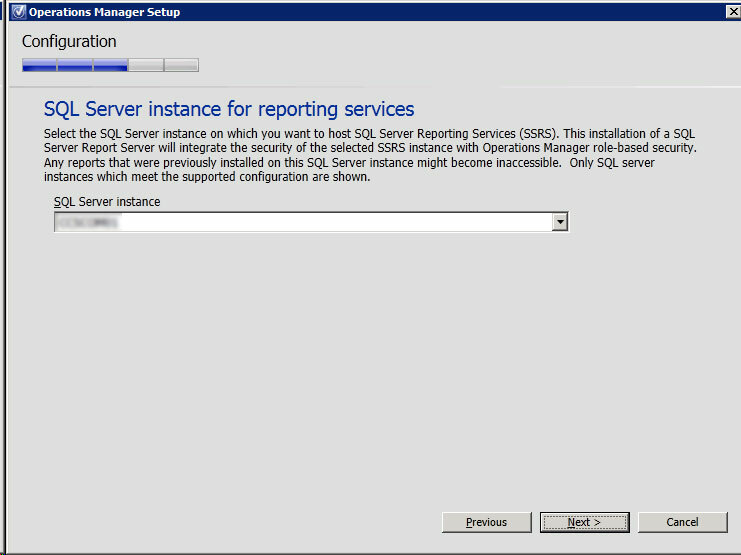 Now configure the instance to use for reporting services. 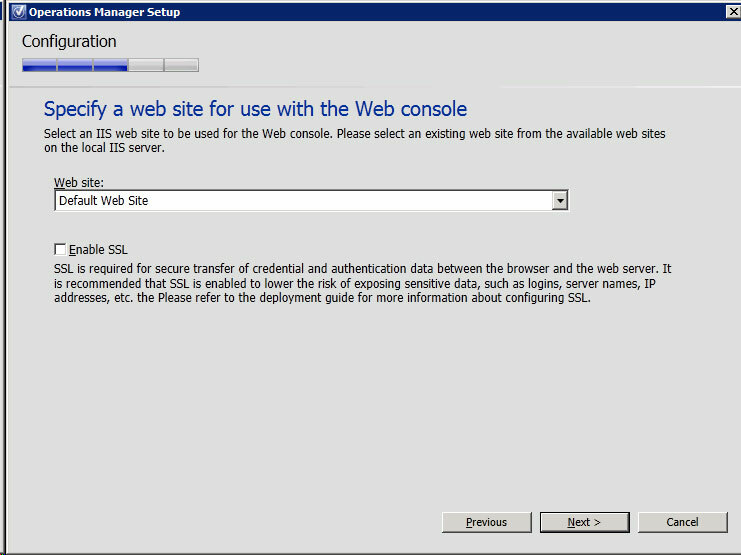 In IIS, under Isapi and CGI Restrictions for your selected web server, you will need to allow the ASP.NET v4 isapi extensions. 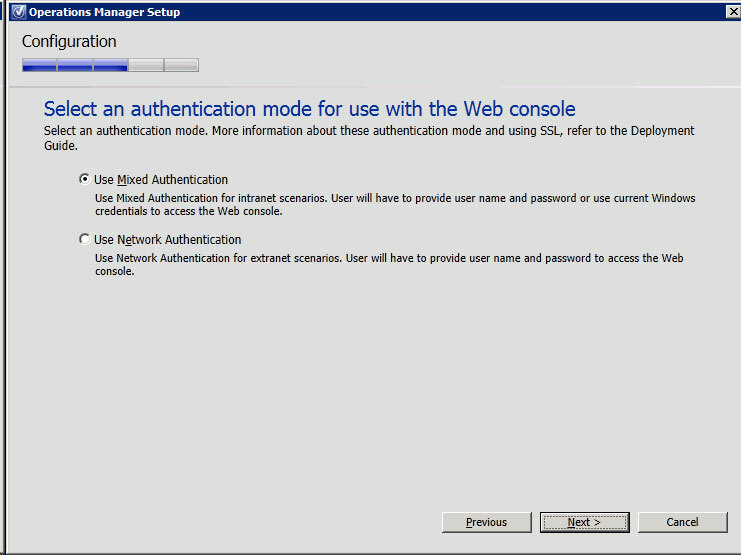 Select an authentication mode to give your users access to the web console. 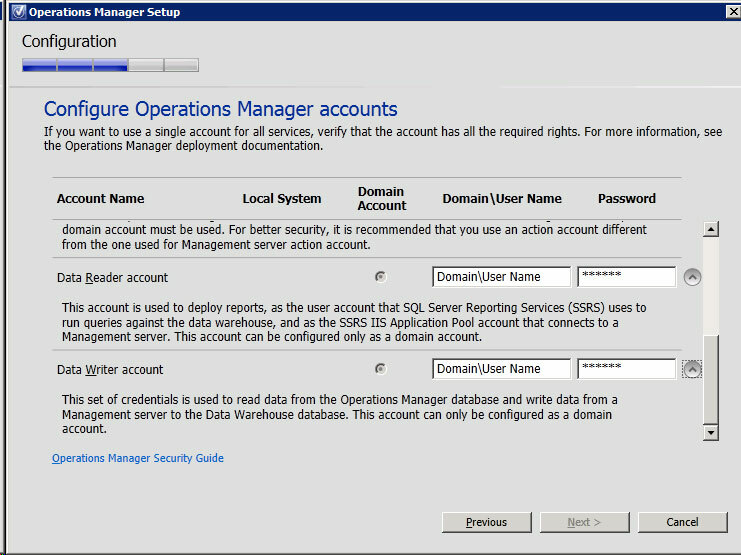 These 3 screens allow you to define the accounts to use for Operations Manager. The arrow buttons supply descriptions of what each account is used for. 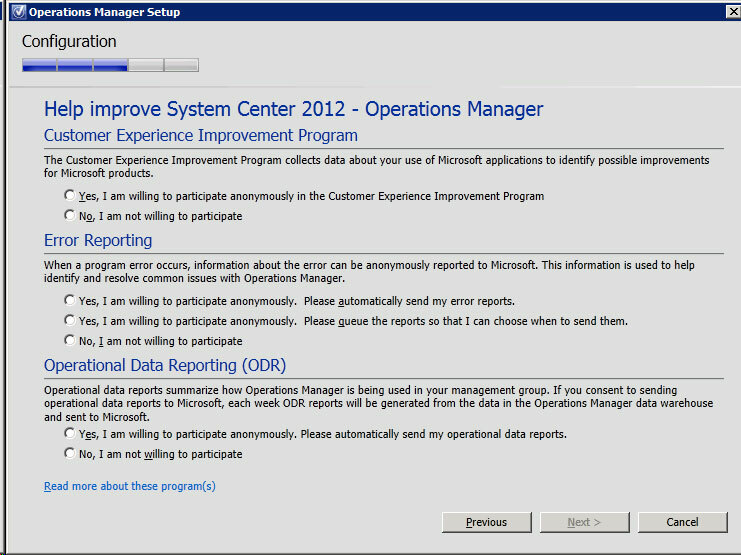 This is the Customer Experience, Error reporting and Operational Data Reporting section. 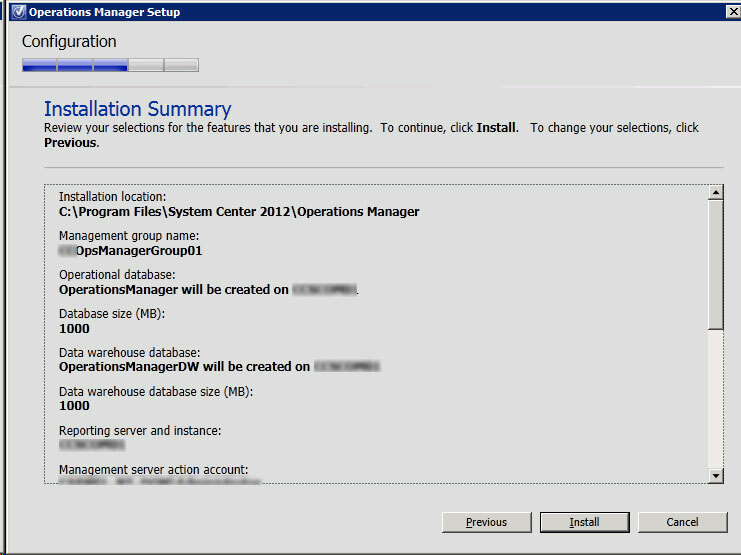 A brief summary of your installation options. 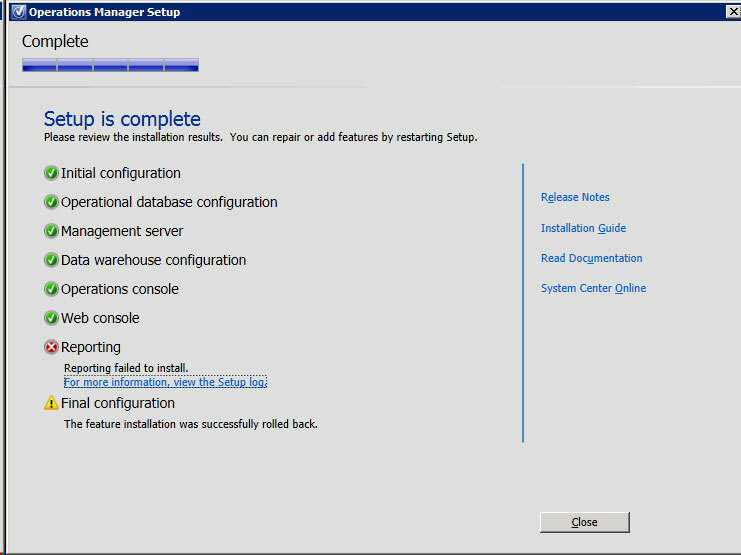 Then on to the installation progress, which should hopefully all go ok. The screen above shows the error I got for having the incorrect SQL installation. 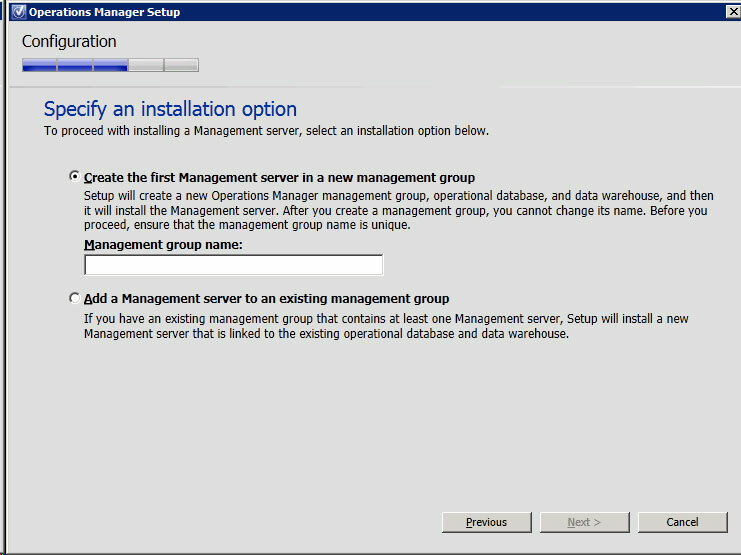 Eventually the install all went ok, however this is merely the proverbial “tip-o-the-iceberg” the fun starts when you install your Management Packs and start monitoring resources on your network. 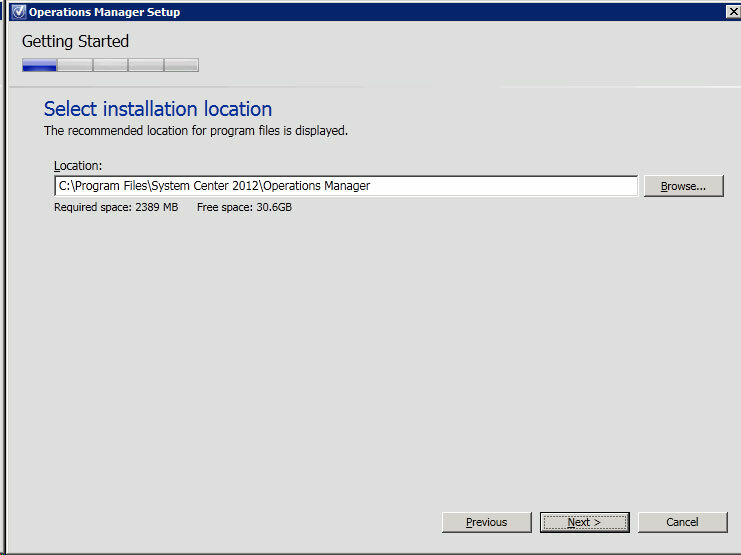 I will post further about configuring System Center once I get it up and running properly.